As global business and transactions of multinational companies are increasing, we need knowledge of foreign languages (apart from English) to ensure our place in today's competitive world. The globalisation of economies and hybridisation of cultures demand teaching of foreign languages more than ever before. Today, knowing a common foreign language has become not only a necessity but also a compulsion for a successful career in international relations, media, trade, government, technology, and science. Comparing the place of foreign language in education systems, for example, in Europe, the United States, Japan, China and even India, Bangladesh should reconsider its education mechanism in a changed world. Lack of knowledge about foreign cultures and foreign languages challenges our students' ability to compete in the global marketplace. Moreover, Bangladesh education system placed little value on foreign languages other than English or on understanding cultures other than our own. Hence, language skills and understanding of cultures are urgently needed to address economic challenges and the strength of Bangladesh businesses in global marketplace. So, our entire education system needs the capacity to provide requisite foreign language training. More than 52.7% of Europeans are fluent in both their native tongue and at least one other language. 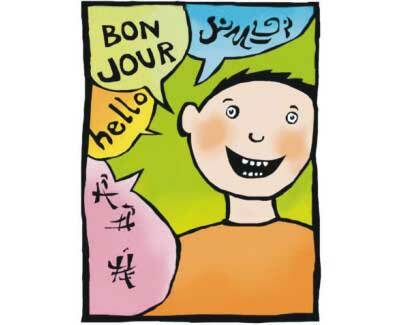 At least one foreign language is taught in most schools around the world. EU emphasises the importance of schoolchildren learning at least two foreign languages before their upper secondary education. The Lisbon Summit of 2000 ranked foreign languages as one of the five key skills. A report suggests that speaking a second language could increase an average worker's salary by £3,000 (ð 3,300) a year. Nowadays Chinese, Japanese and especially some European languages have become very important in the world for study and economic purposes. For example, German and French are considered to be important languages of the world because both of them have influential literature and economic aspects related with them. French and German should be popularised for economic reasons in our country. Learning these languages will help us to be more connected economically and culturally and to explore our possibility benefits from globalisation. In addition, it will give us impetus to build a healthy diaspora in Europe to discover new destinations of remittance flow. Knowledge of German in particular improves one's chances in the employment market. Many German companies abroad, and various foreign companies in Germany and companies with close links to German-speaking countries, look for employees with knowledge of German. Germany is still the key trading partner for almost all the European countries and many countries outside Europe. Bangladesh, being a huge labour surplus country, has potential to boost its economy by structural emphasis on foreign languages. Remittances sent by migrants through official channels reached a record $11 billion in 2010 while formal remittances inflow in 2010 was $10,804 million (World Bank, 2011). Percentage of Bangladeshi migrants by continent of destination in Europe is only 5% while in Asia it is 92% (Human Development Report, 2009). It is assumed that by acquiring European languages the number of Bangladeshi migrants in Europe could be increased from 5% to 25% within a decade. It is a matter of concern that the unsatisfactory performance of students in language and literacy are visible at all levels of our education system, with its accompanying effects on language competence. This negatively affects the potential for human development. In order to provide solutions while responding properly to developing trends in our region and beyond in the age of geo-economics, the Ministry of Education and Ministry of Expatriates' Welfare and Overseas Employment can formulate a national policy and strategy on language education. Apart from many private and public universities, foreign languages can be taught from school level as well. International skills should be a major part in every young person's school curriculum. Research indicates that children who are exposed to a foreign language at a young age achieve higher levels of cognitive development and are better at solving complex problems than those who are not (Bialystok & Hakuta 1994). All these factors emphasise the urgency for learning foreign languages in addition to our mother tongue. In India, for example, learning a foreign language is mandatory from class seven. It is crystal clear that Bangladesh is far behind other countries on the foreign language issue. Our young people are at a growing disadvantage in the employment market because knowledge of English is not enough. Despite calls for action, we have fallen further behind the rest of the world in preparing our students to communicate effectively in languages other than English. An unsuccessful attempt was made in 1983 to introduce Arabic as a required language in primary and secondary levels. However, Arabic was not a popular subject at the college and university level. Bangladesh needs a complete language policy. Among those engaged in international education, it is considered a basic premise that, in today's knowledge-based global economy and society, full command of at least one foreign language is a core competency that should become compulsory for all graduates of higher-education institutions. It is also generally acknowledged that higher-education institutions and the educational systems should make more serious efforts to go beyond mere lip-service by making sure that proficiency in a foreign language is really acquired at a functional level. Parents and educators would be wise to take advantage of the many available opportunities and resources for foreign language learning for the benefit of children coming of age in the 21st century.